Picture a mid-1990s Dodge Ram 1500 Van. It’s rusty, sagging, dirty, loud, smelly, and on its last legs before becoming a permanent fixture in the back lot of some rusted-out industrial lot. In Japan, some Ram Vans meet a much different, more glorious fate. 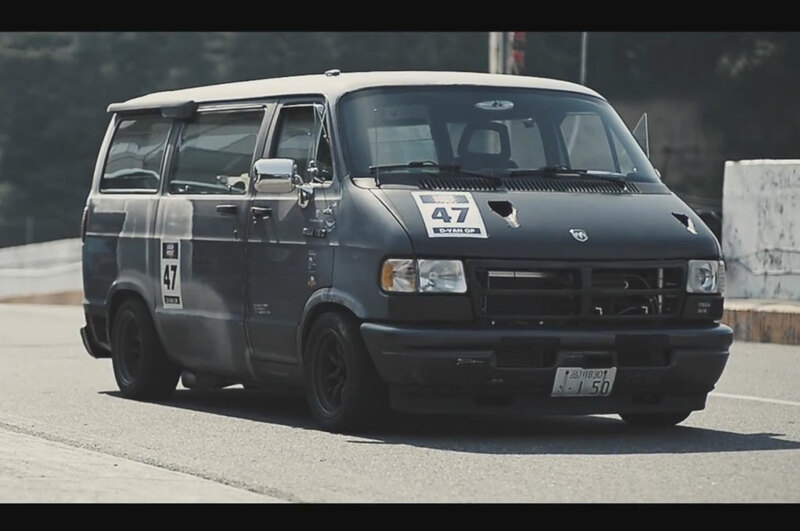 The Dodge Van, or “Dajjiban”, has taken the Japanese enthusiast community by storm, with hopped-up Dodge Vans done up in wild Japanese style for the express purpose of competing in a yearly spec racing event. It all started on a lazy afternoon. Event organizer Takuro Abe was at the motorcycle racing school track day, when he got the idea to take his Dodge van onto the track as a joke. Despite warnings not to, a group of stock vans charged around the track, and spawned an entire automotive subculture and this extremely entertaining documentary about it. Now, the D-Van GP is on its eighth running, and it gains more followers every year. If you show up in your worn-out delivery van, don’t expect to be competitive with the rest of the field. The spec-sheets of some of the vans are more impressive than some high-dollar muscle car builds here in the U.S. One particular Dajjiban featured in the video below has a carbon fiber hood and grille with, of all things to find on a delivery van, a remote-control NACA duct. Power for that Dajjiban comes from the stock 5.2-liter Magnum V-8, victim of a shockingly intensive build kit with a full top- and bottom-end rebuild with high-performance internals, fat cams, beefy rockers, heavy duty oil and water pumps, and a massive cooling system to keep the mill cool. Inside you’ll find Recaro racing seats, a Hurst shifter, uprated dials and gauges, Momo steering wheel, and carbon fiber trim. JDM Watanabe wheels give the Dajjiban a stunningly cool stance, along with a heavy-duty suspension setup. 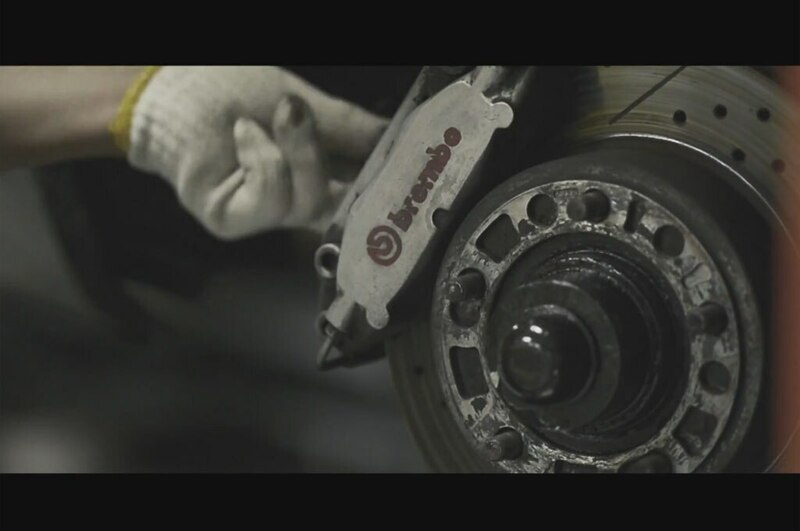 The brake calipers? Why, pulled from a Ferrari F430, of course. NA / 206 cu. ft.